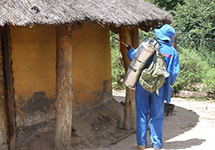 Infectious Diseases - Technical Expertise - International Health - John Snow, Inc.
JSI has worked with governments and other organizations over the years to identify needs and implement changes in health systems to end the devastating effects of infectious diseases in societies. We help analyze and amend health policies, find ways to overcome infrastructure obstacles, and build capacity through training and systemic interventions. Medicines, diagnostics, and supplies are critical elements for health services, so JSI focuses on solidifying supply chains. Because information is also a critical piece of the picture, we strengthen health information systems and logistics management information systems and ensure that health systems managers are able to get the information they need for better decision making. As with all our work, JSI monitors and evaluates programs to ensure our efforts result in improved health outcomes. In developing countries, JSI has assisted health ministries to establish disease surveillance systems and to use them effectively in programs to prevent vector-borne diseases like malaria, Ebola, and the plague. 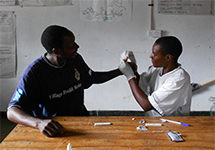 JSI also helps health ministries improve monitoring of tuberculosis control programs and link TB programs with related disease control programs, such as HIV, to increase access to diagnosis and treatment and curb the spread of disease. 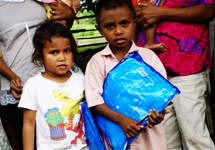 In addition to working with ministries of health, JSI works closely with nongovernmental organizations (NGOs) and community leaders and structures. 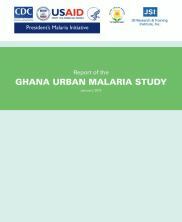 Through numerous partnerships and projects, JSI has played an essential role in the global fight against malaria, helping cut sub-Saharan Africa’s malaria mortality rate by 54% since 2000. JSI has implemented malaria prevention and treatment activities in more than 25 countries in collaboration with host country governments. 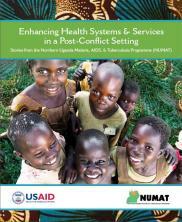 Expanding access to malaria services at the community level. 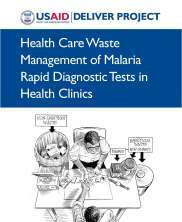 Improving malaria diagnosis and case management at all levels of the health system. 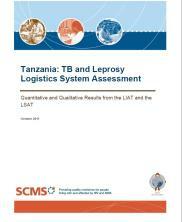 Strengthening supply chains for malaria products and systems for health care waste management. 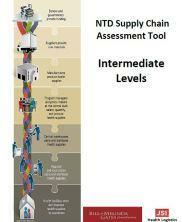 Supporting surveillance, monitoring and evaluation, and strategic information. 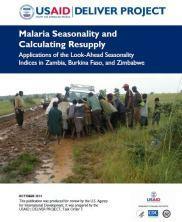 Learn more about JSI's work to strengthen systems and expand access to malaria services. 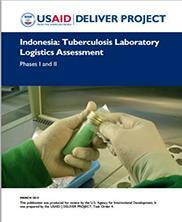 JSI has worked to strengthen tuberculosis (TB) service delivery in high-prevalence settings in Asia, sub-Saharan Africa, South America, and the United States. JSI focuses on behavior change, increasing case detection, tracking and using data on treatment compliance, cure rates and other key information, and improving availability of life-saving medicine. JSI works at all levels—helping strengthen local government responses, building upon existing networks, and expanding the role of communities in planning, implementation, and monitoring efforts. We strive to improve program quality by refurbishing lab infrastructure, developing human resources, and ensuring availability of medicines that are essential for effective treatment. An epidemic disease like Ebola can decimate a health system, as it did in 2014 in Liberia, Sierra Leone, and Guinea. 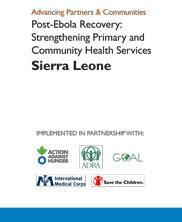 During the epidemic, JSI worked in close partnership with the Liberian Ministry of Health and Social Welfare to shape and support the government’s Ebola response efforts. 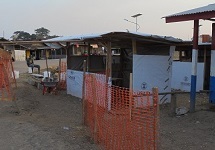 Learn more about JSI's work supporting Ebola efforts in Liberia in 2014. 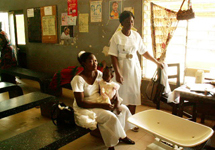 Since that time, JSI has helped strengthen the health systems in Guinea, Liberia, and Sierra Leone by revitalizing health facilities, in particular ensuring the availability of electricity and water through solar panels and wells, built capacity of health care workers, and focused on services for Ebola survivors. 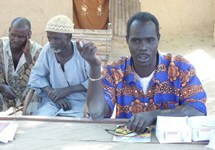 Learn more about JSI's work through the Advancing Partners & Communities project in Sierra Leone, Guinea, and Liberia. When the pulmonary plague epidemic hit Madagascar in 2017, the JSI team in-country extensively supported the Government of Madagascar’s plague response efforts at the national, regional, district, and commune levels. The JSI program team participated in plague crisis unit group meetings at all levels, trained more than 13,000 community leaders on plague response, and disseminated radio clips on plague through local radio channels three times daily, among other activities. 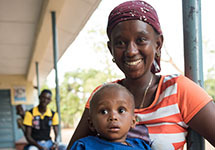 In Sierra Leone, JSI is strengthening critical community-based health services post-Ebola, with emphasis on reproductive, maternal, newborn, and child health and demand generation. 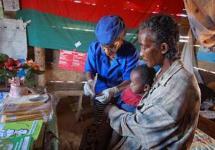 In Madagascar, JSI empowers community health workers to diagnose, treat, and refer malaria cases, and help spread malaria prevention messages in their communities. 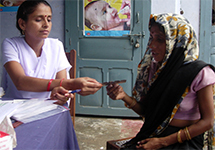 The TB Health Action Learning Initiative (THALI) works with the India Revised National TB Control Program (RNTCP), municipal governments, and private providers to identify, and scale up successful innovative approaches to addressing TB. A dedicated community health worker, trained through the MCHIP project,provides preventive health care, malaria testing, and treatment to help savethe lives of children in Kita district. More than a billion people suffer from neglected tropical diseases that cause illness, disability, and loss of productivity. 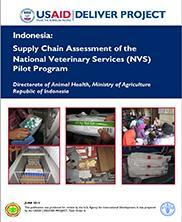 JSI worked to build capacity in supply chain management, including quantification of medicines used for preventive chemotherapy. The Health Management and Quality project lends logistical support to Directly Observed Treatment programs for TB patients in Santa Cruz, Bolivia. 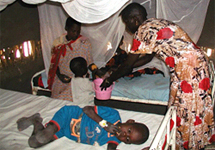 The Sudan Health Transformation Project distributes 100,000 pesticide-treated bednets in malaria-stricken Southern Sudan, protecting thousands from the life-threatening disease.